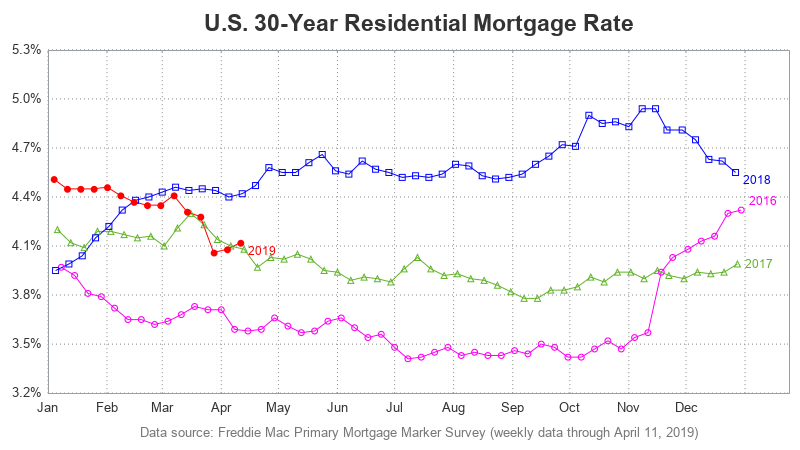 I peruse many different websites to get my news, and I always keep an eye out for good (or bad) presentations of data. I recently saw a posting on reddit claiming "U.S. GDP is greater than the total of all others combined." This news seemed too good to be true (for the US), so I decided to do some data sleuthing and try to verify whether or not it was true. Did I find what I was looking for, or as my buddy John says, did I take a journey down the rabbit hole? Read along and find out! Since it has a 'play' button, it appears to be a screen-capture of a video. I right-clicked on the image in my Google Chrome browser, and tried "Search Google for image". I got several matches, of various different sizes of this image. Now for my new/modified question. 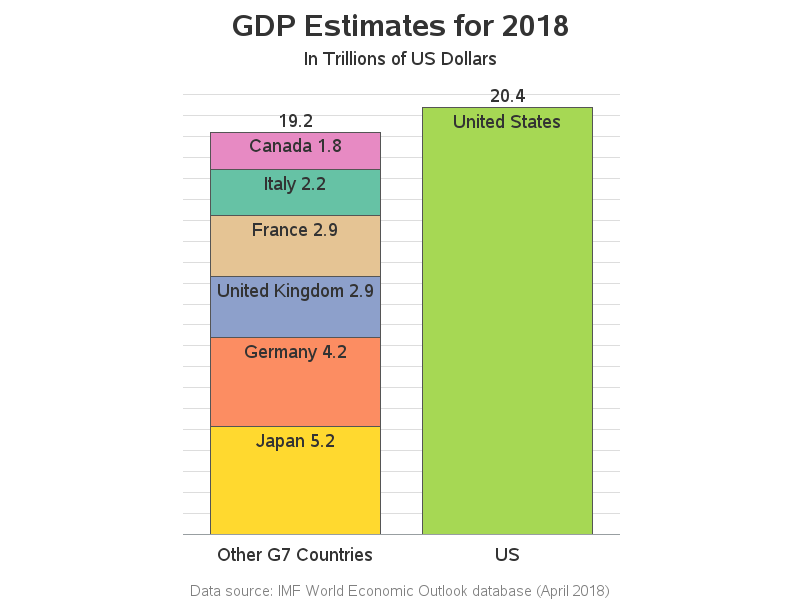 Does the US really have a larger GDP than the other 6 countries of the G7 combined? Where did they get this data? 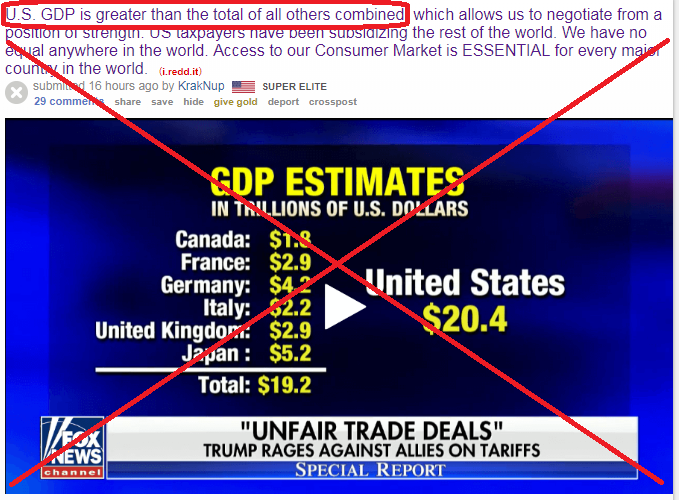 The article is dated June 9 (no year), and the URL of the article indicates it is June 9, 2018 ... and since the title of the table says "GDP Estimates" I assume it must be talking about 2018. But I would need to see the actual data to know for sure. And unfortunately the Fox article did not list the data source. So I went on a data-quest ... I did a few Google searches, and ended up on one of the Wikipedia pages for GDP. 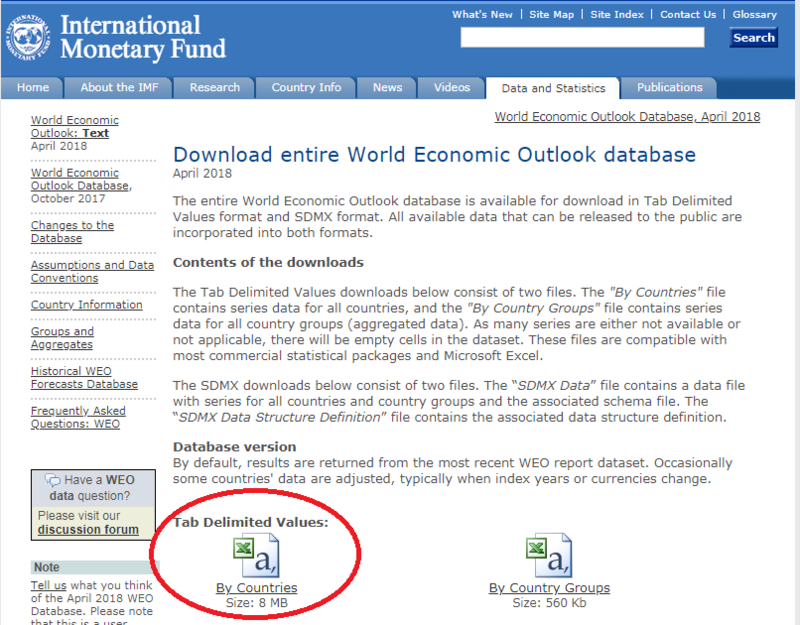 I then went to the External links section at the bottom, and followed the link to the International Monetary Fund (IMF) World Economic Outlook (WEO) weodata index page, where I found a link to their Entire Dataset download page. 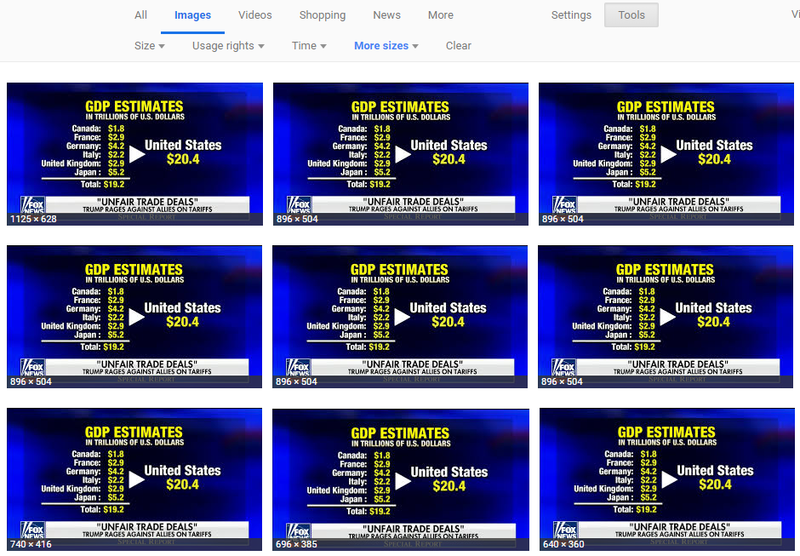 I downloaded that data, but it didn't match the values in the Fox News table. Upon further investigation, it appeared to be the 2017 data. I then changed the 2017 to 2018 in the URL, and found the download page for the April 2018 data, which did match the Fox News table. After subsetting the data, I spot-checked the GDP values and confirmed that these values are indeed the same as the ones in the Fox News table. The height of the two bars lets you visually compare the US and the other 6 countries, in an intuitive way. I controlled the stacking order of the 6 other countries based on their GDP. I added a title showing that these were GDP Estimates, for the year 2018. I labeled the bars so you can tell that this chart is talking about G7 countries (not the whole world). I added a footnote indicating where the data came from. OK I looked at the data and sorted accordingly and a major player is missing...where is China with it's "14,092.51" GDP? That kinda...throws that statement out right? That was awesome! 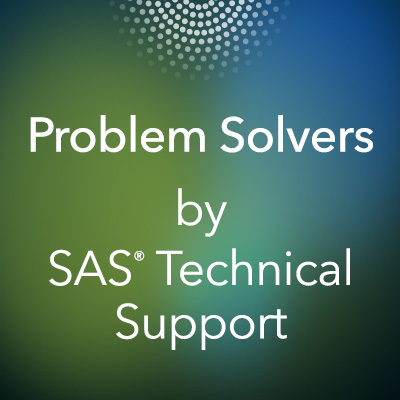 Do you have code for your graph? Very insightful. What if you add another chart that takes into account country population (GDP per capita). Should be telling? Yes, that would be possible (and interesting). The spreadsheet has several variations of GDP per capita. Canada? 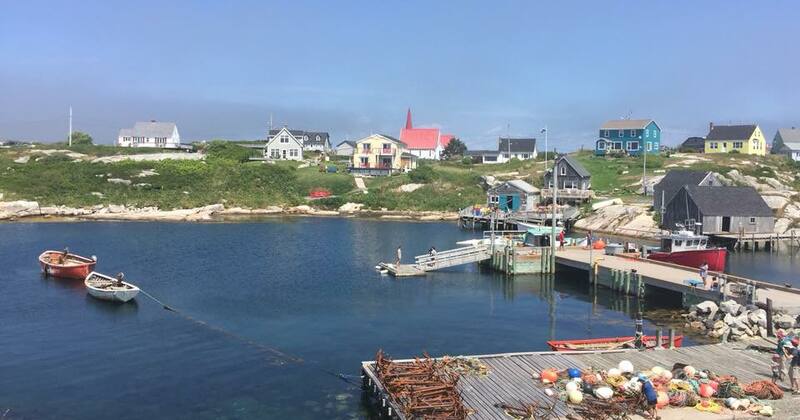 In fact, it looks like Peggy's Cove, Nova Scotia. Little bit of a rabbit hole, I'd say! If we expanded to include China and India, say, top 10 countries by GDP, it's not quite the runaway. Nice visuals! Easy to compare.